Dickson County Mayor Bob Rial has declared April 23 "Baker Policy Day" as a way to honor fallen Dickson County Deputy, Sgt. Daniel Baker. Governor Bill Lee faces a life-or-death decision in the next few weeks as the execution of a condemned Tennessee man who asked for his mercy looms. 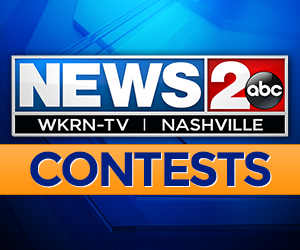 Four people have applied for a judicial vacancy in Tennessee. The National Football League says they will be planting 40 new trees at two North Nashville public schools on Tuesday, according to a press release. A video has gone viral showing the Easter Bunny getting involved in a fight in Downtown Orlando. One year after four people were killed by an active shooting at the Waffle House in Antioch, victims and their families have levied a number of new lawsuits against the suspected gunman Travis Reinking, his father, and the place where it all happened. Is Nashville ready for the NFL Draft? The city's airport says they are ready to receive what could be a record-breaking number of passengers flying in and out of Music City this week for the huge event.